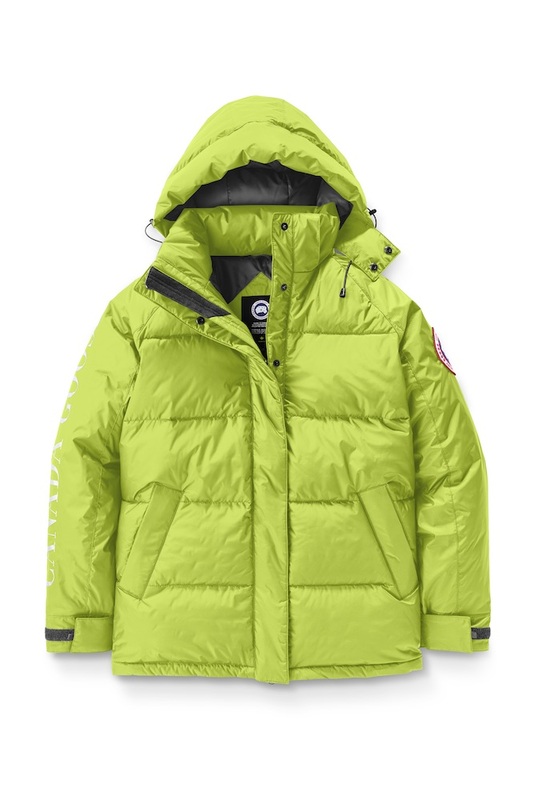 Canada Goose is debuting the essential puffer for the urban explorer, called the Approach Jacket ($795). Available in seven signature colors – four eye-catching neon hues and three classic shades – the palette was designed for high-visibility, born from the need to stand out against snow covered mountains. The Approach is inspired by the Skreslet Parka, an iconic mountaineering piece that was tested and designed in collaboration with the first Canadian to summit Mount Everest, Laurie Skreslet. The Skreslet was constructed specifically for conquering the highest altitudes while helping you stay warm on your journey to the top. A direct nod to its predecessor, The Approach is made for the adventurous city dweller and has many of the same signature details as the Skreslet. It features a relaxed fit to allow ease in movement and room for layering. The down-filled hood is adjustable and the oversized cuffs can be rolled up for quick ventilation or tightened for the ultimate protection. These functional features are classic Canada Goose. The Approach also has two stretch drawcords at the waist and hem to modify the fit or keep out the cold. For the on-the-go adventurer, there are two fleece-lined pockets at the hips, a media pocket with headphone loop, and a mesh pocket designed to fit a water bottle. Available for men and women, the Approach Jacket will be released on Black Friday, November 23, available at Canada Goose retail locations, online at CanadaGoose.com and in select wholesale doors, including Saks Fifth Avenue in the USA; Selfridges in the UK; Printemps in France; Mytheresa.com; TSUM in Russia; and Vitkac in Poland.